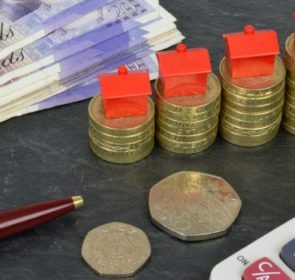 Are you the lucky owner of a new home but need help to move in? Then moving companies are the perfect solution. 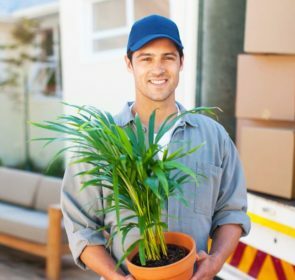 On this page, you will find everything you need to know about employing the services of a moving company; this includes costs, duties, and moving tips. The cost of hiring a moving company is based on many components. The total amount of items, access to your properties, and the distance travelled are some of these factors. The price also changes depending on added services offered by companies. The table below shows the average price for moving companies in a long distance move greater than 50 kilometres. Since the cost of moving companies is determined by multiple factors, calculating the total price changes on a case-by-case basis. As more services are included and the number of bedrooms increases, so too does the price. As such, you should consider all components of the removal cost estimation. Are you searching for a detailed breakdown of prices for your move? Every moving project is different, so each company will calculate costs in its own way. Compare these prices for free by filling in a quote request form. Within 1 minute, you will reach out to companies operating in your area and receive up to 6 quotes. This free, no-obligation quote request allows you to quickly see the best offer for you. How can a moving company help you? Does packing everything in your old home sound like a daunting task? This is no problem; movers can take care of packing tasks for you and load the boxes onto their vans. Most companies provide the necessary packing materials to help make this process run quickly and smoothly. Do you have antique furniture, ceramics, or belongings of high sentimental value? Then moving companies will take extreme care when transporting these items, using extra protective materials and handling techniques. For extremely large objects such as pianos or wardrobes, professional movers have the specialist equipment and knowledge to get the job done. Companies also offer furniture disassembly and assembly services to make your move quick and easy. Need to install kitchen appliances and electronics but have no time or understanding of the equipment? Then moving companies have the solution for you. A handyman will assist you in all technical aspects of your move allowing you to settle in much more quickly. 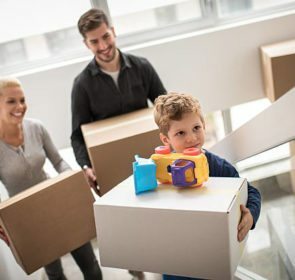 You may be unable to move into your new home straightaway for some reason or need a temporary space for your items while you sort out your house. In any case, there is storage available to keep your belongings in a safe, secure location. Moving companies often have large storage facilities that can house your prized possessions. Your move will be quick and efficient. A big move, and all that it involves, is incredibly stressful. The professional movers at your service will handle everything to make your move as simple as possible. Rather than asking your friends and family to assist, which will inevitably take much more time, a moving company lets you focus on other important tasks. Moving companies are trained and properly equipped. Compared to DIY removals, movers significantly reduce total transport time since their vehicles and labor will only take one trip. The quicker you move into your house, the sooner you can begin to make it your own home and enjoy this significant life moment. Movers improve safety. Probably the most important thing on your mind about the move is whether or not your belongings will arrive at your new home safely. Your items are covered by the extensive insurance plan that many companies offer, as they incur the risks. Additionally, the chances of injury are greatly reduced since the movers possess the knowledge and awareness that only years of experience can bring.With all preventive measures taken care of, moving companies give you peace of mind. Moving to a new house takes a lot of planning and should not be taken lightly. Aside from getting a head start on moving tasks and packing, there are other things you can do to ensure everything goes according to plan with no problems and to save money. Create a moving checklist. The best way to stay organised and on schedule for your big day. Declutter your house. 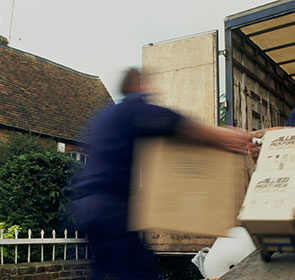 Reduce the number of items you need to move means you also lower your cost of removals. Prep your new home ahead of time. Do prep work, such as cleaning and installing fixtures, before the chaos and clutter of movers and boxes arrive. 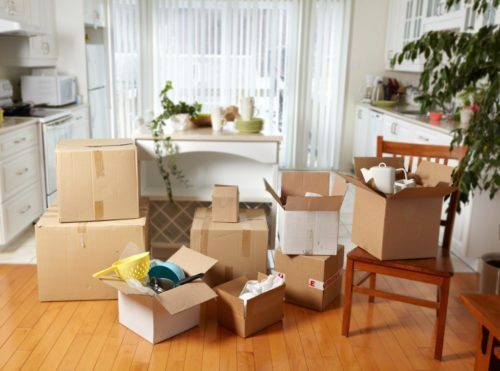 In our moving house section, you can learn more about tips for a cheaper and stress-free move. Combine these with a reputable moving company and your transition to your new home will be straightforward and not the overwhelming experience most people believe it to be. A moving company has many advantages; they manage your move effectively and do the hard work for you, all while reducing transit times and minimizing damage. Enjoy these benefits by finding a company to handle your moving project. To do this, compare various moving specialists by sending a quote request. This no-obligation quote request is free of charge, takes only 1 minute, and will allow you to save up to 40% in moving costs.